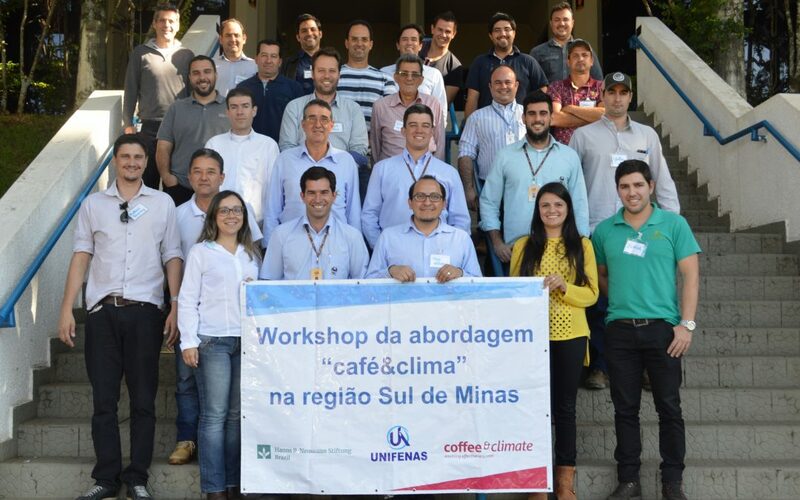 Alfenas, Brazil – July 12th, 2017 – coffee&climate takes part in the Community of Practice (CoP), a group of various institutions from the coffee sector that are involved in different areas within the coffee value chain. The CoP recently had its very first meeting at Unifenas (José Rosário Vellano University) in Alfenas, Brazil. The aim of the CoP is to share knowledge and experiences of successful climate smart agriculture techniques that reduce climate impacts on coffee production. By bringing in a diverse group of actors from the coffee sector, the participants openly discussed relevant climate threats and possible opportunities, in the form of practices, to overcome these challenges. The next meeting will take place in November of 2017; since it was commonly agreed on to carry out the suggested practices within the next four months. Further next steps will be the evaluation and analyzation of the results of the rolled out practices. In addition, the group set up “Good agricultural practices to adapt to climate change” as a theme until the end of the year. Next to the introduction of new technologies, the group will approach already known practices. c&c thanks the participating institutions for their commitment and exertion: ACOB, ATLÂNTICA, COOMAP, COOPASV, COSTAS 5588, COOXUPÉ,EPAMIG, Hanns R. Neumann Stiftung, IFET – MACHADO, INSTITUTO TERRA, Neumann Kaffee Group, P&A, Stockler, UNIFENAS and UTZ.